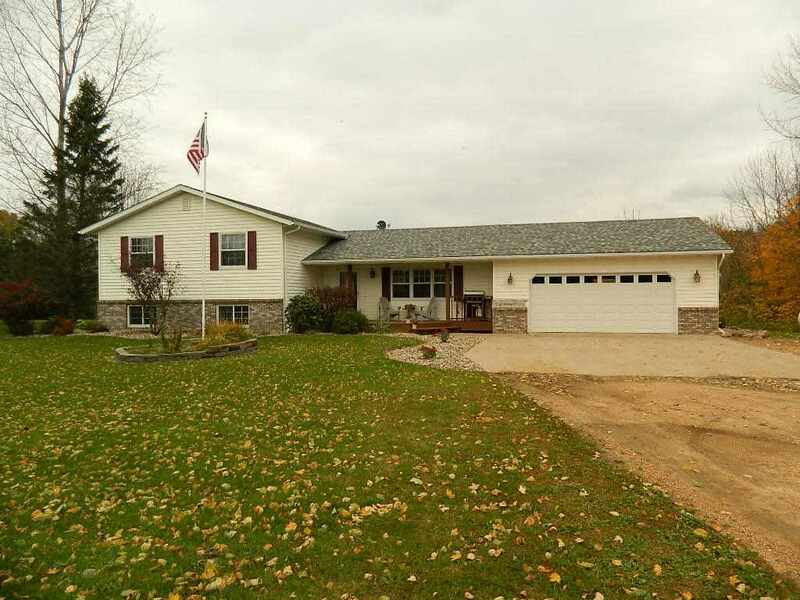 3 bedrooms, 2 baths, 11 acres, extra garage, beautiful views all set back off the road for complete privacy. Very well maintained 3 bedroom, 2 bath home with main floor great room and lower level walk out with family room and large work out room/office. Lower level is also plumbed for 3rd bath. Beautiful views out the back. Attached 2 car plus large detached 3 car with 10 foot ceilings. There is also a garden shed or could be remodeled to an awesome play house and a small loafing pen. © 2019 CENTRAL WISCONSIN MULTIPLE LISTING SERVICE INC. All rights reserved. Information deemed to be reliable but not guaranteed. The data relating to real estate for sale on this website comes in part from the Broker Reciprocity Program. Real estate listings held by brokerage firms other than Assist 2 Sell are marked with the BR logo and detailed information about them includes the name of the listing brokers. Listing broker has attempted to offer accurate data, but buyers are advised to confirm all items. Information last updated on 2019-04-21.